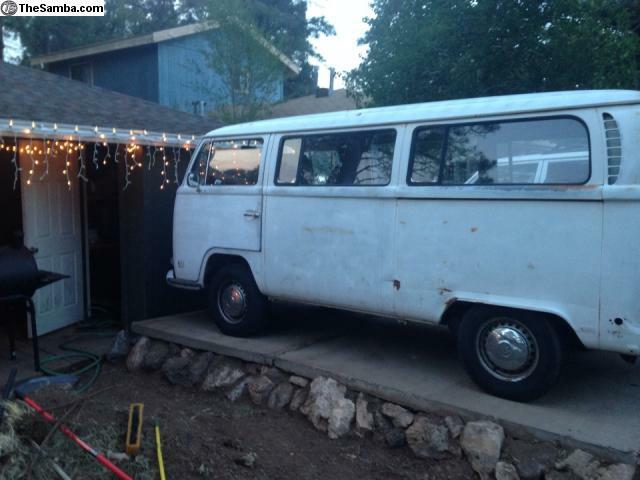 Im selling my 1971 VW bus. It has been garaged for about 2 years, taking it out occasionally. Currently it is not running as it needs the fluids changed due to sitting for too long. New fluids should start it up right away! It does have a sticky valve on the right side of the engine, but still drives really nice! It makes it no problem to the Jerome Jamboree in September, and to the Buses by the Bridge in Lake Havasu every January. I also painted the entire interior of the bus white! Engine was rebuilt 3 years ago. Good solid condition. Asking 7500 willing to negotiate.